In the long and storied history of the J Class, Newport Rhode Island is a very special place. It was when the event moved from New York City to Narrangansett Bay for the 1930 regatta that the America's Cup was first raced for the very first time in J Class yachts. The Vanderbilt syndicate's Enterprise prevailed against Shamrock V. Harold S Vanderbilt won again in the colours of the New York Yacht Club on Rainbow in 1934 and then once more in 1937, winning 4-0 on the mighty Ranger. Those three America's Cups in Newport reflected the J Class in its pomp before it was superseded in 1958 by the 12 Metre which raced eight subsequent editions off Newport. An exciting new chapter in the history of the J Class and its colourful association with Newport and with the passionate hosts and organisers, the New York Yacht Club, will be written over coming days when a record fleet of six J Class yachts will compete for the very first J Class World Championship. 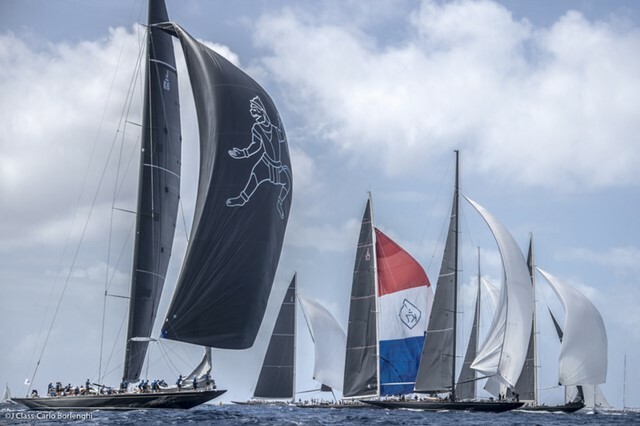 The class' recent incorporation as a member group of the International Maxi Class Association allows the J Class yachts to compete for the World title – as ratified by World Sailing – for the first time ever. The chance to bring a J Class race crew to Newport to challenge for the inaugural world title has proven simply irresistible to the active, competitive minded J Class owners. Indeed for several teams this championship has been the absolute pinnacle event they have been working towards since it was announced in 2014. Crews of the six yachts – Velsheda (1933), Ranger (2003), Hanuman (2009), Lionheart (2010), Topaz (2015) and Svea (2017) – have been training on the Bay over recent days, building up to Monday's official Practice Race before racing starts Tuesday. A flexible programme of five days of racing – three of windward-leeward contests, usually two per day, and two days of Navigator Races, middle distance coastal races using a variety of fixed navigation marks – should prove a fitting challenge. Forecasters suggest normal sea breeze conditions for the opening days, some stronger winds midweek tapering to lighter airs for the final races. The choice of racing format for each day will be decided the previous evening. 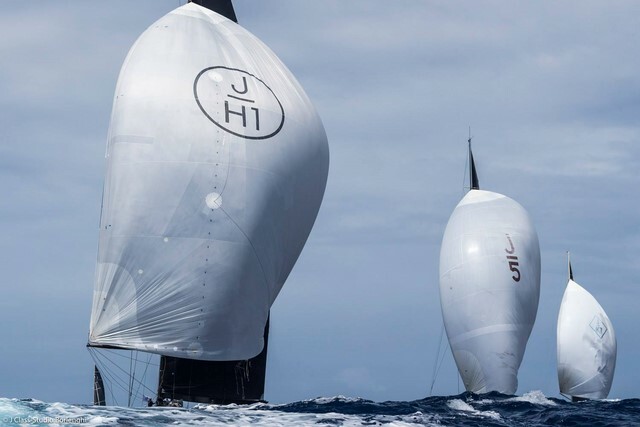 All of the competing yachts raced in June's America's Cup J Class Regatta in Bermuda where Lionheart only clinched the overall win on the last run of the final race and Velsheda finished second. And Hanuman, which is steered by Newport's Ken Read, will be looking for a world championship win as a salve to memories of losing out to Lionheart in Bermuda. "Look, any one boat could win this here. It will be super, super competitive." Emphasizes Murray Jones unequivocally. The six times America's Cup winning Kiwi returns as tactician on Ranger after missing the Bermuda J regatta due his commitment as a performance coach with the Cup winning Emirates Team New Zealand but is back in the hot seat on Ranger. One of Lionheart's winning strengths is their strong and very settled crew line up. Tactician and project manager Bouwe Bekking signed up more recently for his seventh lap of the planet racing in the Whitbread or Volvo Ocean Race will again skipper Team Brunel, but he insists his long standing commitment to Lionheart and their bid to become World Champions is non-negotiable. "This is a long term commitment and for me a commitment is a commitment. You can't let a team of 35 down because of another later commitment." Smiles Bekking, whose own Newport history includes training with Dennis Conner's Winston Whitbread Round the World Race team in 1993-1994. "In Bermuda everything went our way. We sailed well but sometimes it goes your way during a regatta and there it did." Bekking says of Lionheart's Bermuda win in June, "But we are comfortable in how we are sailing the boat. Our crew has been together forever, our manoeuvres are excellent and we are confident in how we sail the boat." Asked if there would be any additional incentive to win on rival Read's home turf, Bekking responded, "Not at all. Of course it would be nice to win here, winning is good wherever you are and that is what we are here for. But it is great to be here, it is a great place to sail and everyone here knows what this regatta is. This city thrives on sailing and its sailing history. Being back here with these historic boats is exactly what Newport is about. Newport born and bred, Narrangansett Bay and the highly competitive J/24 fleet is where Hanuman's skipper-helm Kenny Read, America's Cup helm and Volvo Ocean Race skipper cut his teeth as a racing sailor. Holder of more than 40 world, international and national titles Read might still smarting after missing out on the J Class title in Bermuda but he does not show it. Being back to race the mighty J Class yachts on his home patch is a huge honour. "I don't think any of us ever considered we might race on a J Class yacht when we were growing up here far less to race a J Class World Championship here." Read grins wistfully, "If there is any home which does not really grant a local knowledge advantage it is probably Newport because almost everybody else has sailed here as much as I have, even though I live here." "As world championships go this is as big as anything because it is more than just a regatta and a title, it sets a beautiful tone for sailing. It is more than just a sailboat race, that is very clear." "It is such an honour and a privilege to sail these boats and we never forget that. We will see some big crowds out there on the water. They will have their jaws on the ground watching us get these boats around the race course." Read affirms. "There is no extra pressure on me. As long as we have good communication it will be fine. I just have to do my job. When you sail with such a talented group as this and everyone is in position to succeed, to do their jobs very well, then I just have to do my job well and not try to micro manage things. Typically that works." "There were a lot of things we were happy with in Bermuda and some things we were not so happy with. We targeted our downwind speed, we struggled a little downwind. We have changed a couple of spinnakers around a bit. We thought we got off the line well but first windshift we were not always happy with. We were not always in the best position for the first shift. There were a lot of good things and obviously you can't cry over the things which are toughest to take." 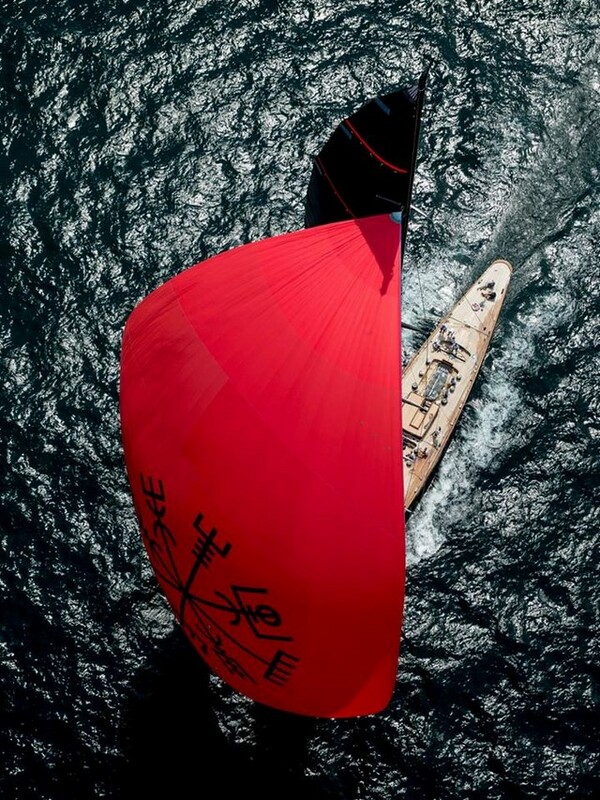 Read has his brother Brad sailing in the Hanuman afterguard. Brad runs the highly successful Sail Newport initiative but the pair sailed together originally in the J/24, winning the J/24 Worlds in Newport in 1986, their second successive world title. Brad won the J/24 World title twice in his own right in 2000 in Newport and 2002 in Kingston Canada. "I think every time I have sailed here it is too easy for me to get sucked into the local knowledge tactics part of it for me. On a boat like this any loss of concentration to the boatspeed part of this is a failure to the rest of the group. So just to make sure I don't get sucked into the local knowledge part of it I brought in one of the best local knowledge experts I know. The fact he is a relative who I used to beat up when we were kids is neither here nor there. Brad and I grew up sailing out of Barrington YC just up the coast here. He is solid." "Sail Newport speaks for itself and what it has done for Newport, getting events like the Volvo here, like this and the new sailing centre they have built, they bring so many kids through that program. And he has politically finally allowed the State Government to realise what they have in the sport of sailing here from a tourism point of view and so the state are now behind a lot of what he is doing with sailing and that is making a world of difference." 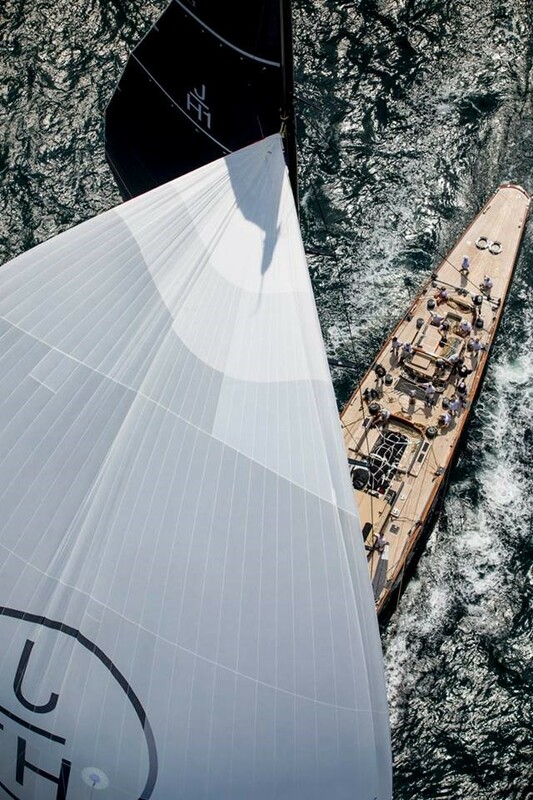 The newest J Class Svea, launched earlier this year, made her debut in Bermuda and proved very quick from the outset. After a forestay swivel failed, threatening their rig in Race 2 of the series, the team have had to work long and hard since to be ready to race at this inaugural world championship. They only finally restepped their rig just over a week ago. But Svea have a galaxy of past Stars & Stripes America's Cup talent rich in Newport history including including Tom Whidden, Peter Isler and Vince Brun. Svea's project manager and tactician Charlie Ogletree says, "We had the rig out of the boat and re-set everything and so the last few days we have just been flat out getting it together. The boat is going really great now we have to get some good starts and sail it well. It is ready to perform and it is up to us to perform. I have raced here off and on my whole life. And we have a lot of other guys like Vince Brun, Peter Isler, Tom Whidden, so I think we are happy when it comes to local knowledge. Our goal is to finish each race in a respectable position and to shoot for a win." Topaz showed considerable potential in Bermuda and has supplemented their afterguard with Newport ace Tony Rey who sails as strategist for tactician Ross MacDonald and helm Peter Holmberg. Rey comes directly from winning the last 52 SUPER SERIES regatta with the Provezza project he runs, working with Holmberg as helm. Topaz's Ross MacDonald adds, "It is always a challenging place to sail with the current and even the sea breeze has its quirks about it. If we do some of the navigator courses there are current gates and lots of strategy that plays into these courses." Reflecting on the International Maxi Class's role in establishing the first J Class World Championship General Secretary of the IMA Andrew McIrvine reflected, "Personally I have been inspired by the J Class since seeing images of the very early days and then seeing the restoration of Velsheda and her racing subsequently. So there is a huge pride to see this magnificent fleet lined up here. It was a great opportunity for the J Class to establish a world championship and to see it all happening here now is just great." 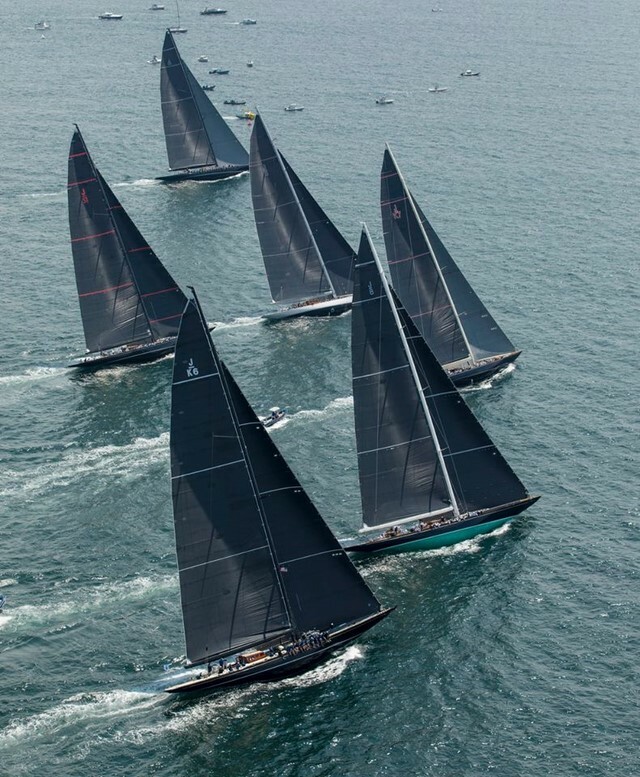 The J Class World Championship will be officially opened this Monday evening at a reception at the New York Yacht Club's Newport Harbour Court hosted by the NYYC and Rolex.